HMRC has problems ensuring that PAYE is deducted correctly because its computers cannot mind-read. Real Time reporting of PAYE is being introduced from 2013. This will assist greatly in correcting PAYE codings. This is a special summary for advisers. HMRC regularly issue tax calculations which show underpayments or overpayments. Three concessions apply to underpayments. 1. For 2009/10 balances of less than £300 will not be pursued by HMRC. 2. For 2010/11 and later, balances of less than £50 will not be pursued. 3. Following an announcement made on 15 September 2010, no interest will be charged on PAYE arrears of £2,000 or more to all unreconciled and reconciled PAYE arrears (so called legacy balances - these are chiefly those arising prior to 2008/09. HMRC continues to write off many earlier balances. We have here a summary of the guidance given by a combination of Robin Williams of the Low Income Tax Reform Group (LITRG), and John Whiting of the Chartered Institute of Taxation, together with relevant deadlines and concessions that apply for PAYE and NICs underpayments and overpayments following HMRC’s new Powers and Penalties regime. Scroll to the bottom for direct links to LITRG. Don't panic, you have not been sent a demand it is a calculation. If you have underpaid tax, it will generally be collected next year via your tax code. Were you in receipt of PAYE benefits in kind in that year (a car or van perhaps, is the make and model and dates it was available correct)? Are the income or pension totals correct for each year? Go back to any records or correspondence you have kept in relation to your PAYE coding noties. If you find any errors or mistake, you need to write and inform HMRC. If you agree the figures you do not need to take any further action, and HMRC will automatically make the adjustment via your PAYE coding. Did your employer operate an incorrect tax code? If so the underpayment is his problem not yours. Were you resonably sure that you were paying the right amount of tax at the time, but it is clear that HMRC had not used the information available to it at the time and given you the wrong tax code? If so the underpayment is HMRC's problem and not yours, see Extra Statutory Concession A19 below. Check which years are being recalculated to ensure that all all are "in time". If HMRC informs you that you have overpaid PAYE you will still need to check that this is correct. You will face a tax penalty if you notice an error and do not point it out or if you fail to disclose any income and this results in a higher refund than would otherwise become entitled to. If in a year in which you have underpaid PAYE you were entitled to state benefits then the chances are that you have been underpaid benefits as a consequence (these are calculated on net income, after tax). John Whiting points out that the two should balance each other out, but as you cannot backdate benefits there is an issue here. He indicates that he hopes HMRC will come to an equitable solution in the circumstances. From 1 April 2010, HMRC cannot go back further than four years unless there is evidence of careless behaviour by the taxpayer. Where there is carelessness it can go back six years, and up to twenty years if there is deliberate default. Underpaid tax will not be due if the underpayment was caused by HMRC not acting on information that it was given to adjust a tax coding within a set time frame of 12 months following the end of the tax year, this is acccording to Extra Statutory Concession A19. Claims must be made within 4 years of the end of the tax year or accounting period to which the claim relates. There is no deadline for reclaiming excess contributions where, for example, you had two jobs or were both employed and self-employed. If you have overpaid or wrongly paid for any other reason, there is normally a six-year time limit for claiming a refund. 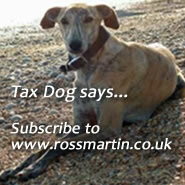 So, for example, a claim for the tax year 2004-05 must be made by 5 April 2011.